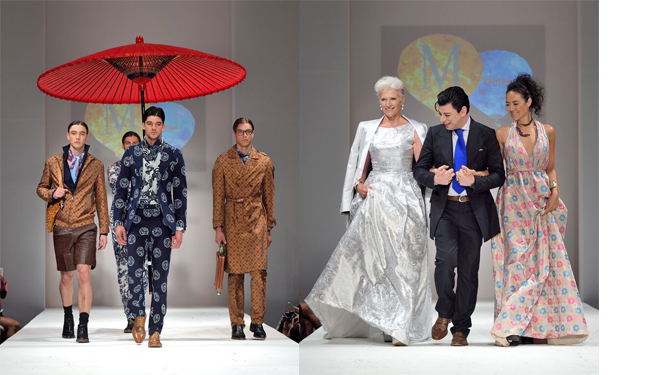 Titled ‘Reflections of Sun Moon Lake’, Malan Breton’s Spring Summer 16 collection is truly inspired by Taiwan! Vibrant hues and gorgeous fabrics added to the inherent richness of Malan’s designs. 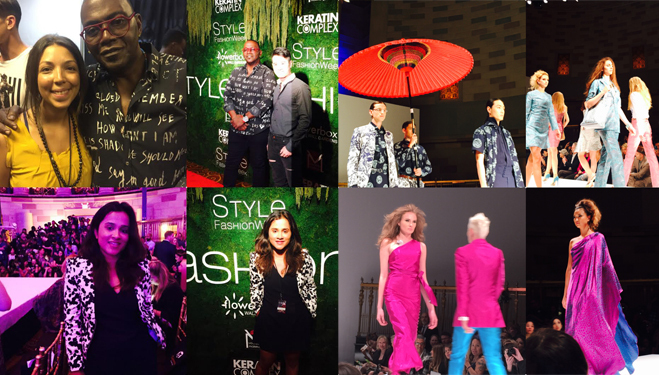 We loved the chic and elegant mix of prints, and a mix of pastel and bold hues for Spring/Summer 16! And true to the Taiwanese theme, we saw some gorgeous and vibrant colors, especially tropical pinks!The collection incorporated traditional Taiwanese dying techniques, embroideries, silks, and fibers, with a fusion of Western and Eastern style elements! The men’s collection was fabulous too, and had a distinctive Taiwanese accent to it. But the show stealer was Fab mamma, Maye Musk! With unmistakeable grace, Maye, mom to billionaire Tesla founder Elon Musk, was a vision in white on the runway! Needless to say, we had our fair share of fun. Randy Jackson of American Idol fame added to the glitz!